Home / Entertainment / MOVIES / Assassin's Creed : (VIDEO) - Egypt-set Assassin's Creed Origins finally confirmed Launches 27th October. Assassin's Creed : (VIDEO) - Egypt-set Assassin's Creed Origins finally confirmed Launches 27th October. Assassin's Creed Origins has finally, finally, been unveiled. It launches 27th October. 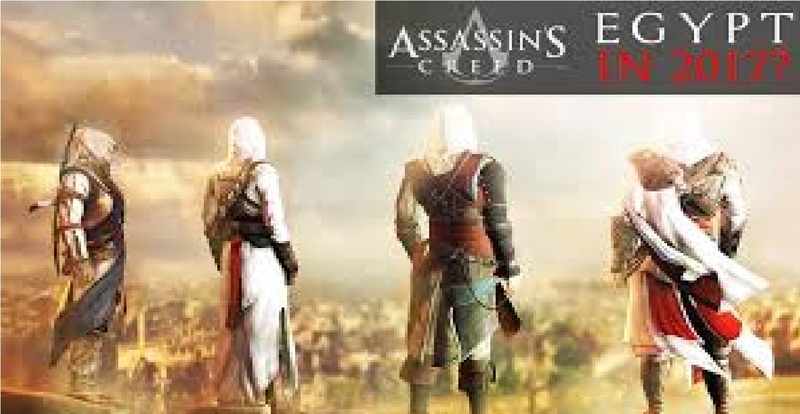 Set in Ancient Egypt, the game will chart the origins of the Assassins' Brotherhood, and the story of main character Bayek. He's an Egyptian sheriff who stands up to those attempting to corrupt Egypt's civilisation. The game will have a greater focus on RPG elements, as shown in the game's extended set of gameplay. It featured Bayek returning to his hometown, a dusty settlement bordered by a temple fortress. Arriving at the fortress Bayek uses his pet eagle to scout the area from above, marking guards and finding his target. Bayek then scales the fortress walls, leaping from tree to ground, and killing a guard in slow motion. There are multiple slots for equipped gear, XP from enemies, a bow which shoots multiple arrows and a first-person mode to control the arrow's path. As previously leaked, the game has a Skyrim-style compass at the top of the screen rather than a mini-map. Snippets of gameplay showed underwater swimming, numerous wild animals (including a hippo), and a gladiatorial arena. We've reported on many of the Assassin's Creed Origins leaks so far - including on its main character and gameplay - all popped up here as expected. We'll have more on the game as E3 week continues.